Occupational Therapist, Certified Hand Therapist, and Certified Lymphedema Therapist. Kelli Anderson Occupational Therapist, Certified Lymphedema Therapist, and Certified Hand Therapist. Kelli Anderson is an Occupational Therapist and Certified Hand Therapist with over 28 years of clinical experience in the hand and upper extremities. 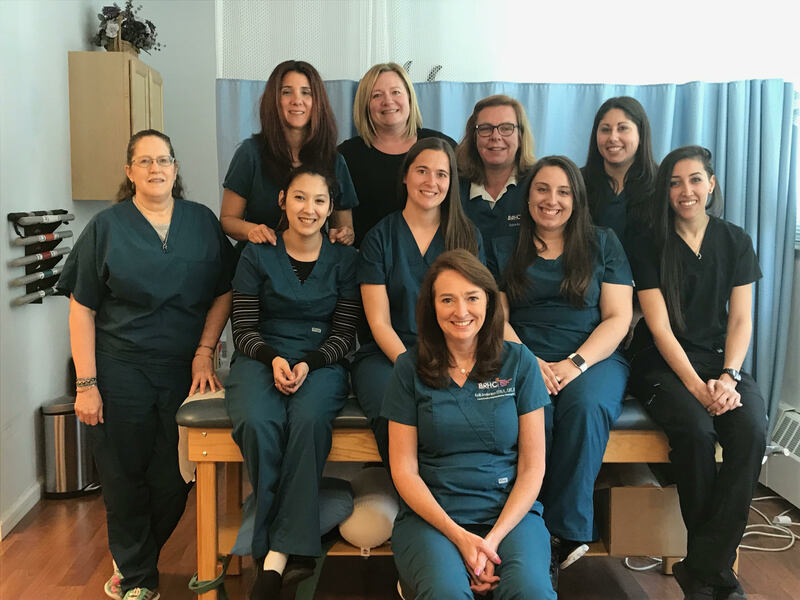 After obtaining a Bachelor of Science Degree at Quinnipiac University in 1989, and board certification as an Occupational Therapist, she completed additional training to become a board Certified Hand Therapist. 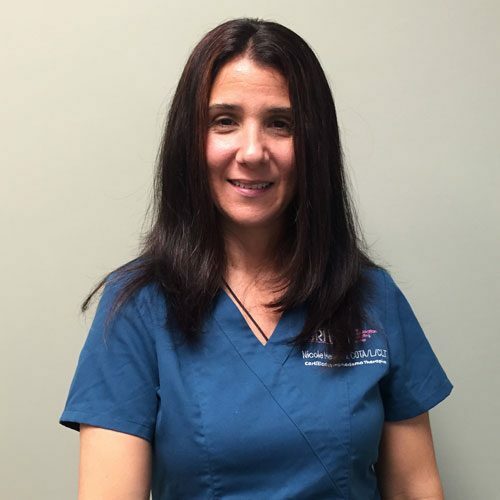 Kelli is co-owner of Progressive Hand Therapy in Westwood NJ, specializing in orthopedic injuries to the hand and upper extremities. Following her own battle with breast cancer, Kelli became a Certified Lymphedema Therapist with a specialty in Postmastectomy Lymphedema Syndrome. Upon completion of this training, she opened Breast Rehabilitation & Lymphedema Healing Center in 2010 to specialize in Upper Extremity Rehabilitation, Breast Rehabilitation, and Complete Decongestive Therapy for post mastectomy and Lymphedema patients. In 2017 Kelli received the Courage Award through the Triple Negative Breast Cancer Foundation. Sabine Baumann holds certifications in Massage Therapy and Medical Spa Treatment. In 1987 she graduated Massage School at St. Joseph Hospital in Koblenz, Germany, followed by a 1 ½ year residency in a neurological rehabilitation clinic where she gained experience in the rehabilitation of patients with serious brain injuries. After moving to the United States, she became licensed as a Massage Therapist by the State of New Jersey, and certified as a Lymphedema Therapist though the Norton School of Lymphedema. Sabine joined the BRHC team in 2014. Casey Zbierski is a Certified Occupational Therapy Assistant. She attained her Associates of Applied Science (AAS) in Occupational Therapy Assistant through Eastwick College. 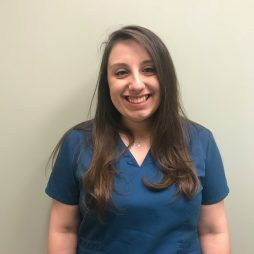 Casey worked for Breast Rehabilitation and Lymphedema Center as a therapy technician prior to her certification in 2017, and is continuing her career as COTA with us. Nicole Messick is a Certified Occupational Therapy Assistant and Certified Lymphedema Therapist. She obtained her degree from Rockland Community College in 2000. 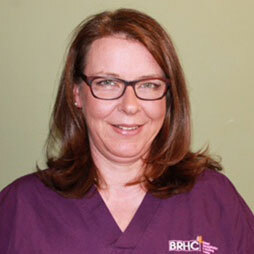 Prior to working at BRHC she worked at Good Samaritan Hospital in the mental health unit. 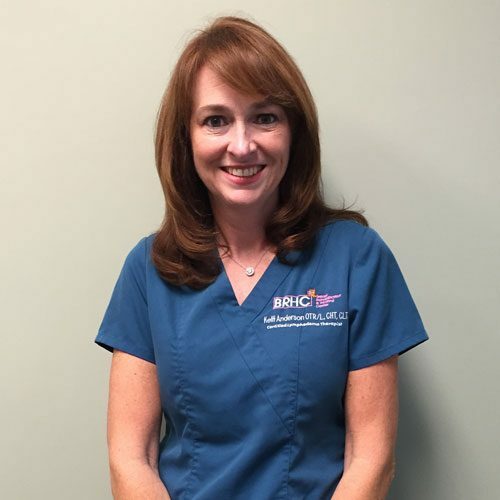 After working in hand therapy for 2 years, Nicole joined the BRHC team, specializing in Upper Extremity Rehabilitation, Breast Rehabilitation, and Complete Decongestive Therapy for post mastectomy and Lymphedema patients. In addition, Nicole is certified yoga therapist.